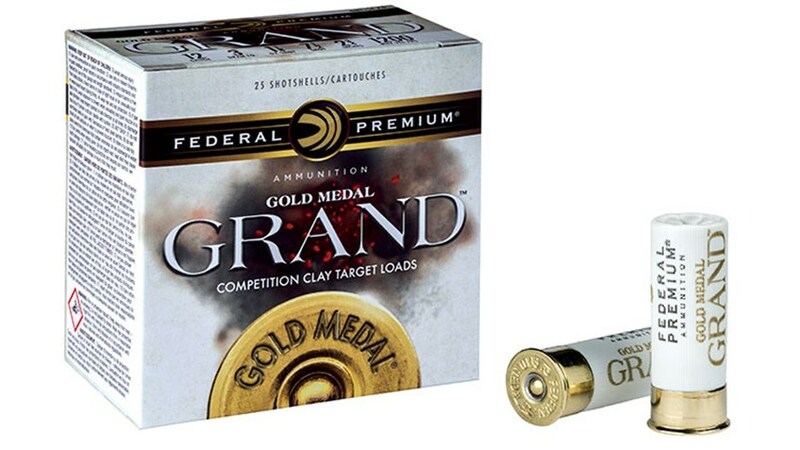 Federal has announced a new line of twelve gauge target ammunition, with all kinds of impressive claims. Indeed, standard SAAMI-approved drop-test procedures showed new Gold Medal Grand outperformed standard Gold Medal and competitor ammunition in zero-offset and .025-inch offset impacts on the primer cup. “You basically drop a heavy ball bearing onto a primer head from gradually lower heights until the rounds stop firing. This is called the ‘all fire height,’” says Compton. “In zero-offset testing, current Gold Medal fired at drop heights down to 11 inches; Gold Medal Grand fired at down to just 9 inches, which was better than all the competitive ammo tested.” When the bearing’s impact was shifted .025 inches off center, Gold Medal Grand fired at 14 inches, well above original Gold Medal and the rest of the competition. This testing conducted at Federal Premium facility in Anoka, MN. So, there you have it. According to Federal, higher pattern percentages than their previous best shell, the Gold Medal, lower recoil, and a one piece hull with an average of 16 – 17x reload life. I'll be testing the GMT178 7.5 loads shortly: 1-1/8 oz., #7-1/2 shot, 1235 fps. They certainly look like good shells, but the ad-blurb doesn't reveal much, nor does the packaging on the box. The claim of higher pattern efficiency, about 4%, doesn't mean anything without the data that backs it up: shotgun used, choke used, number of shots fired, and so forth. "Providing the hardness of 5% antimony lead" doesn't mean that it actually is 5% antimony lead, just that Federal feels that it is their equivalent. More to follow as testing proceeds.